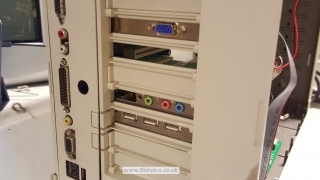 Project overview for my Amiga 1200 Infinitiv Tower System/ Featuring Mediator PCI board, Voodoo graphics and PPC processor, plus much, much more. 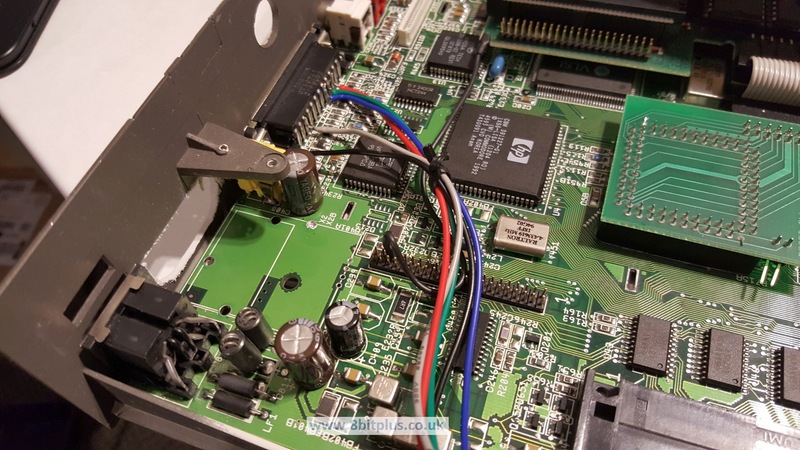 In all the excitement recently of getting a Vampire 600 card for my A600, I forgot about my last Amiga project I started to write about in summer 2015. 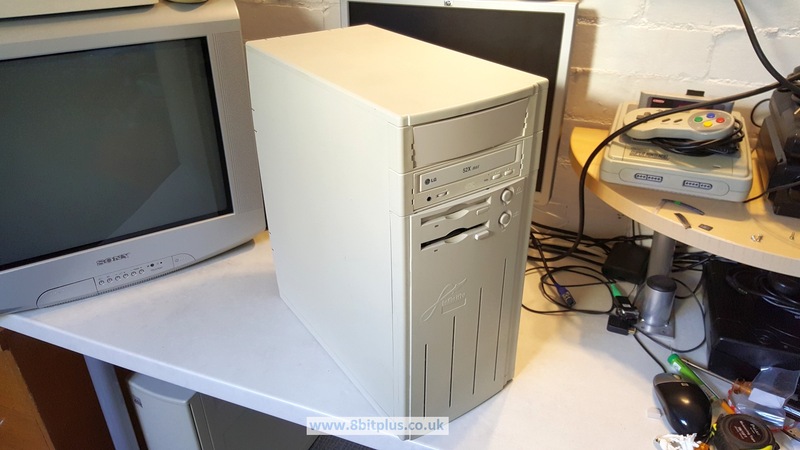 The Project was more or less complete and working, but I recently got a new tower case for the A1200 so It seems like a good time to revisit this project in more detail. The case I selected was the Micronik Infinitive 1200 tower. 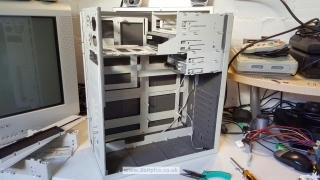 This is one of the few case systems made exclusively for the A1200, and NOT a converted PC case with a replacement back plate. Almost the entire structure is made from plastic. 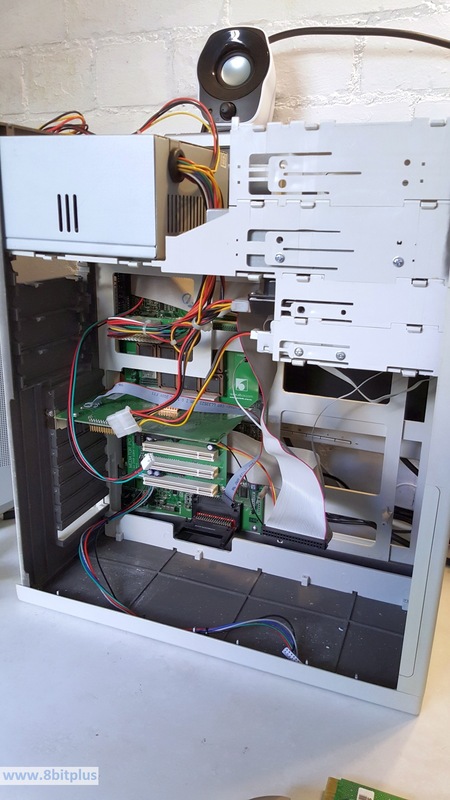 The design is very modular and allows for extra internal drive days and a top plate extension to fit accelerator cards and another 5.25″ drive bay. The Infinitiv tower is the best looking tower case for A1200 in my opinion. 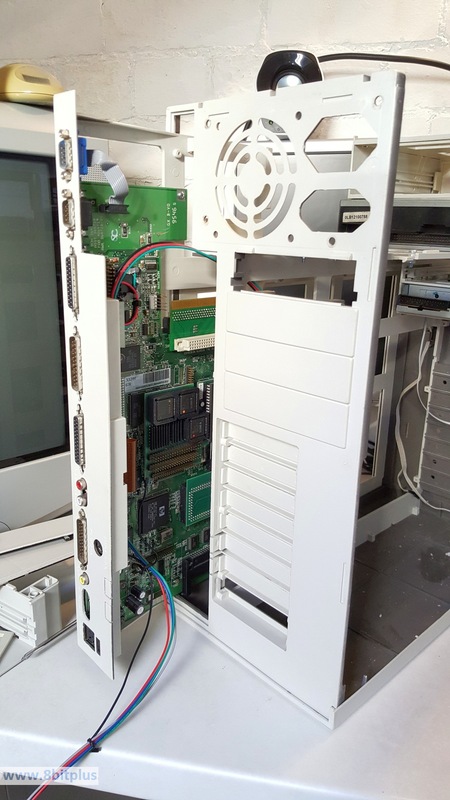 First job is to install the A1200 motherboard. The Infinitive case has a removable “plate” to mount the motherboard. This also incorporates the PC keyboard adapter. At this point I also installed the Fast-ATA controller as it would be harder to do later. 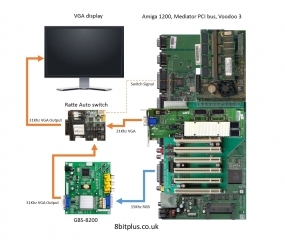 This is a revision 1.D.4 A1200 motherboard. It has the relevant timing timing fixes to allow full stability with a host of expansions. All old capacitors have been replaced and RF modulator removed. The Mediator PCI Busboard allows the Amiga 1200 to use a variety of cheap and available PCI card. Amiga PCI isn’t as fast as the Zorro III slots found in the Amiga 3000/4000 and cannot do fast DNA transfers, but it more than makes up for it with the convenience of cheaper cards. Voodoo 3 cards are very cheap nowadays, and my SoundBlaster 128 + 10/100 Ethernet card only cost £10 each. 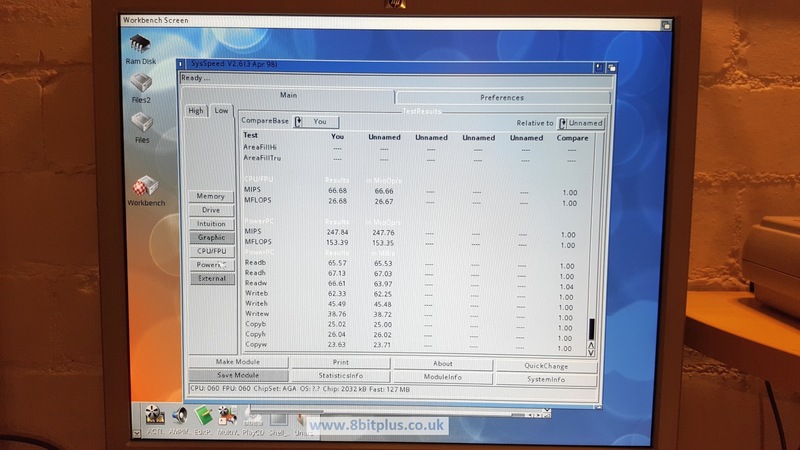 I believe the Mediator PCI setup is about as fast as Zorro II systems. One of the best features of the Infinitiv case is that it includes a support bracket for the CPU card. The BPPC card I use needs this support. Finally I installed the extra drive bay and case extensions. This is needed when installing a bus-board and accelerator card as the card will end up sticking through the top. 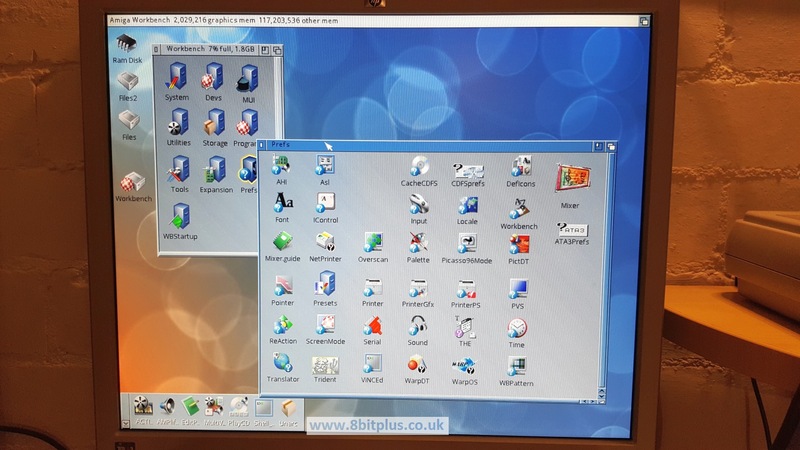 The Voodoo3 is now setup with the Picasso96 display drivers and displays Workbench screens in resolutions up to 2046 x 1536. 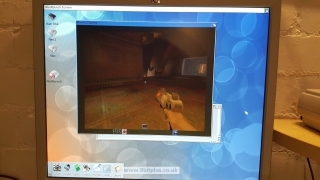 As I found out a long time ago, it has no ability to show the original Amiga resolutions. 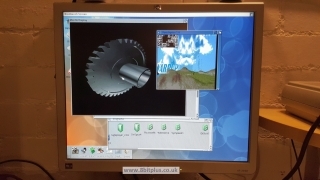 Native video still outputs through both RGB and TV ports therefor another solution was needed. I decided to go for a cheaper solution than the Indivision AGA cards available. GBS-8200 is a basic RGB scandoubler that can take the 15KHz video intended for a TV or arcade and reprocess it to a standard 31KHz VGA signal. The video Quality is fine for most needs. For me its only needed to play a few AGA demos and boot back to standard Workbench modes if something goes wrong with booting. 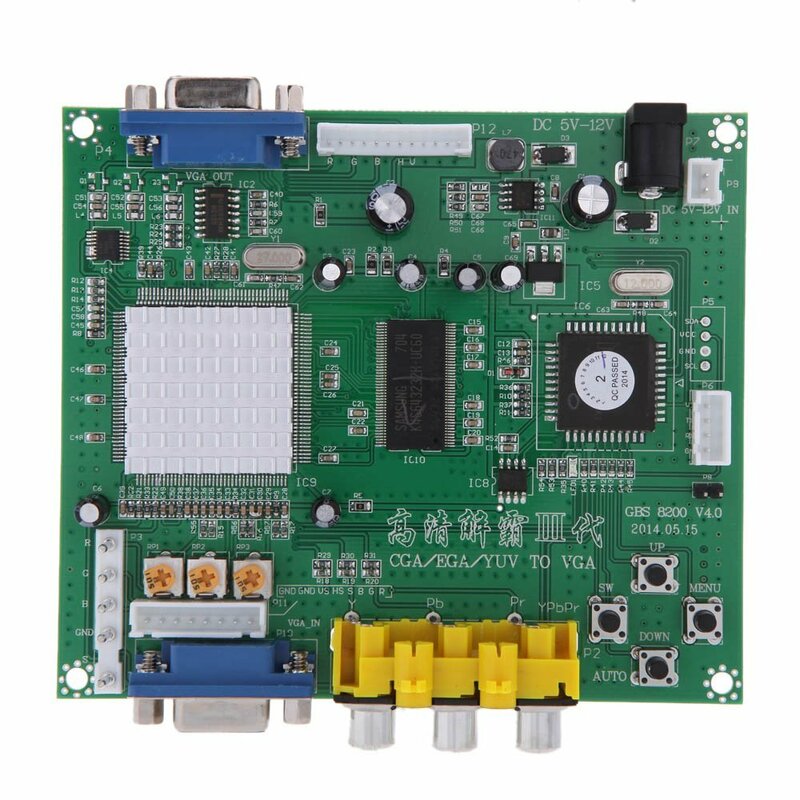 The Indivision AGA card is much better quality than the GBS-8200, but costs almost 6x the price. To allow automatic switching between Voodoo(RTG) and AGA, I purchased the Ratte Auto switch. This little gizmo takes both VGA inputs and switches between them automatically by picking up a signal from the Amiga 1200 CIA chip. 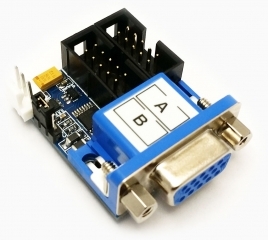 Ratte Auto Switch works perfectly every time for me, but can be switched manually if needed. The GBS-8200 mounted nicely to the tower chassis floor. 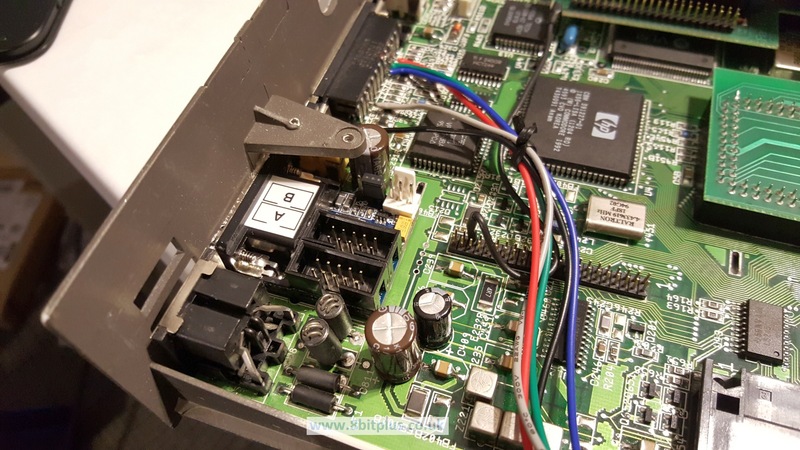 To reduce the number of external cables, I soldered the RGB input cable to the A1200 motherboard, and the RTG cable to the Voodoo card VGA pins. The Ratte Auto switch mounts nicely in the space created by removing the RF modulator. 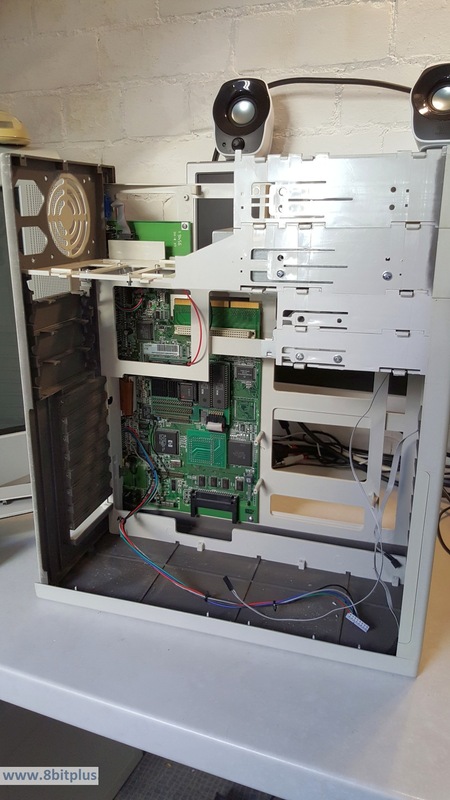 One thing I didn’t account for when selecting this tower is that some of the PCI cards do not fully fit within the openings on the case. I’m sure Micronik Infinitiv cases are designed for Zorro II cards. 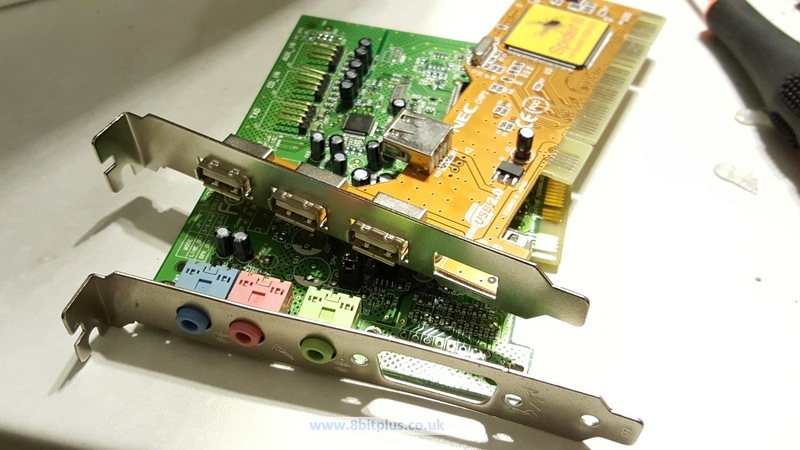 Although PCI boards fit securely in place, the opening for the ports is only 3/4 the length of the card, some of the lower ports clash with the case. One solution is to cut the case to allow the ports through, but you will spoil the case and never be able to undo it. Cards that clashed for me were the Sound Blaster, and the Spider USB card. 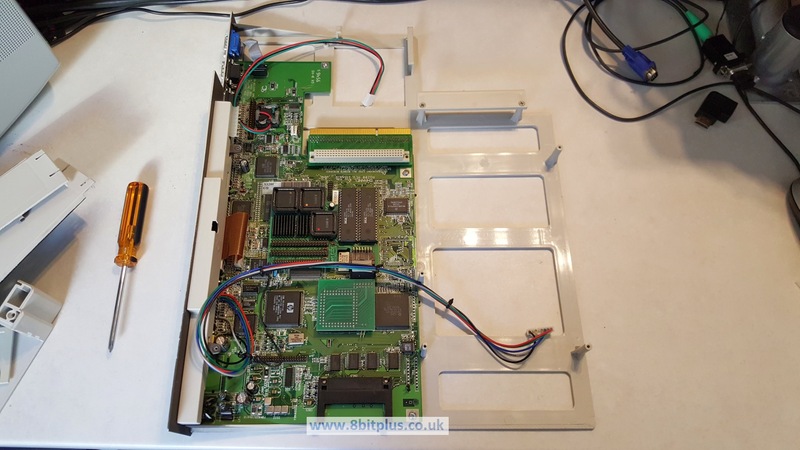 The SB needed the joystick port removing (not used by Amiga anyway, and one of the USB ports on the Spider. For this I unsoldered the USB and wired a direct connection to the front card reader. 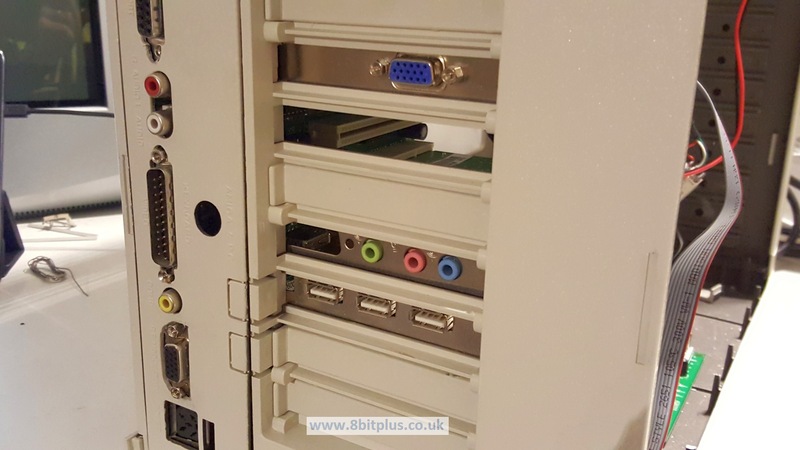 Another little addition is a multi-card reader and USB hub in a small 3.5″ drive bay. 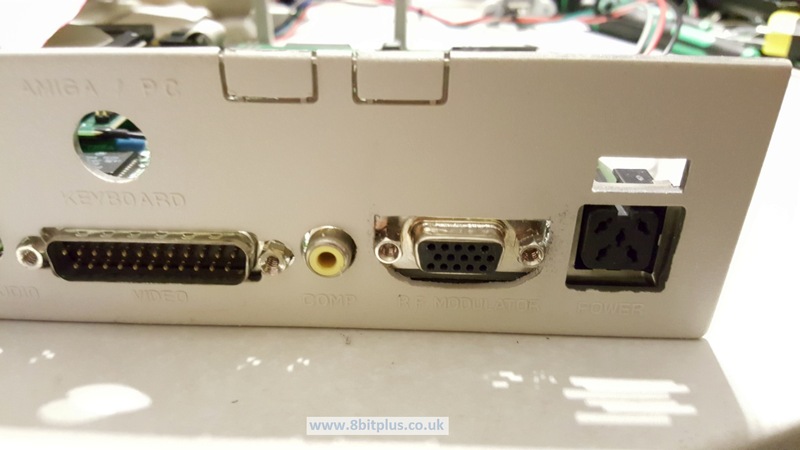 The USB and the card-reader are separate units to each over and I ran the internal USB connections to the Spider II PCI USB controller card on the Mediator. 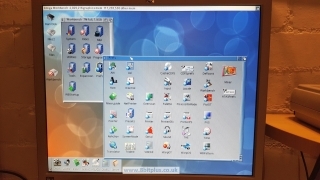 The ports and reader are active when the Poseidon USB stack is running. Setting up this kind of system is hard to summarize. Basically it involves installing SFS on the HDD, then OS3.9 and all its updates. The Kickstart Rom needs patching for the KS3.9 updates. Then mirroring to the Blizzard with BlizKick along with other mods like BPPC-fix. 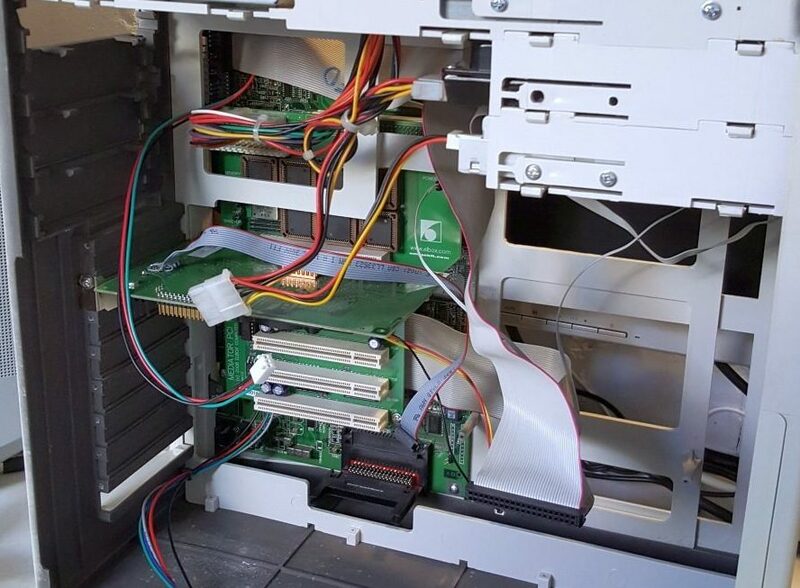 The result is that the system needs to reboot during the boot process. This doesn’t take long and it still seems quick to boot. 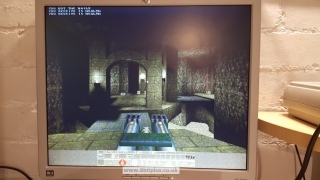 To take advantage of a PPC processor WarpOS is installed, then Warp3D for 3d games like Quake. That’s about it. 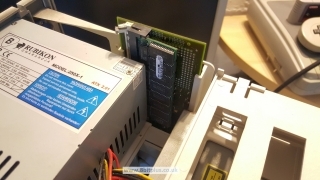 This is one impressive Amiga 1200. Where did you find the Micronik Infinitive 1200 Tower?